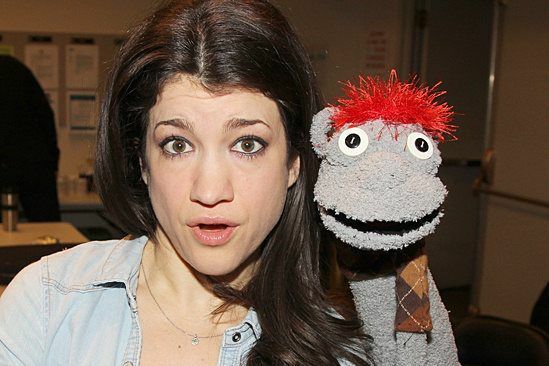 AMDA congratulates alumna Sarah Stiles on her 2015 Tony Award nomination for her performance in Broadway’s Hand to God. Stiles is nominated for Best Performance by an Actress in a Featured Role in a Play. Since graduating from AMDA New York’s Integrated Conservatory Program, Stiles has performed steadily, with Hand to God marking her fourth Broadway production. The show centers on the Christian Puppet Ministry in suburban Texas, where young Jason (Steven Boyer) and Jessica (Sarah Stiles) learn God-fearing values and theatrical puppeteering. Jason’s right-hand puppet man, however, quickly takes on the persona of Tyrone, a loud mouth who isn't afraid to tell the ugly truth. The New York Daily News calls Hand to God “so ridiculously raunchy, irreverent and funny it’s bound to leave you sore from laughing.” Hand to God is Stiles’ second foray into puppetry. Previously, she worked on the Broadway musical Avenue Q, a show that has more puppets than human characters in its cast. Hand to God, starring Sarah Stiles, received five nominations. The King and I, with alumni Autumn Ogawa and Atsuhisa Shinomiya, received nine nominations. On the Twentieth Century, featuring Mamie Parris, received five nominations. Catch the 69th Annual Tony Awards on Sunday, June 7 at 8 PM on CBS!